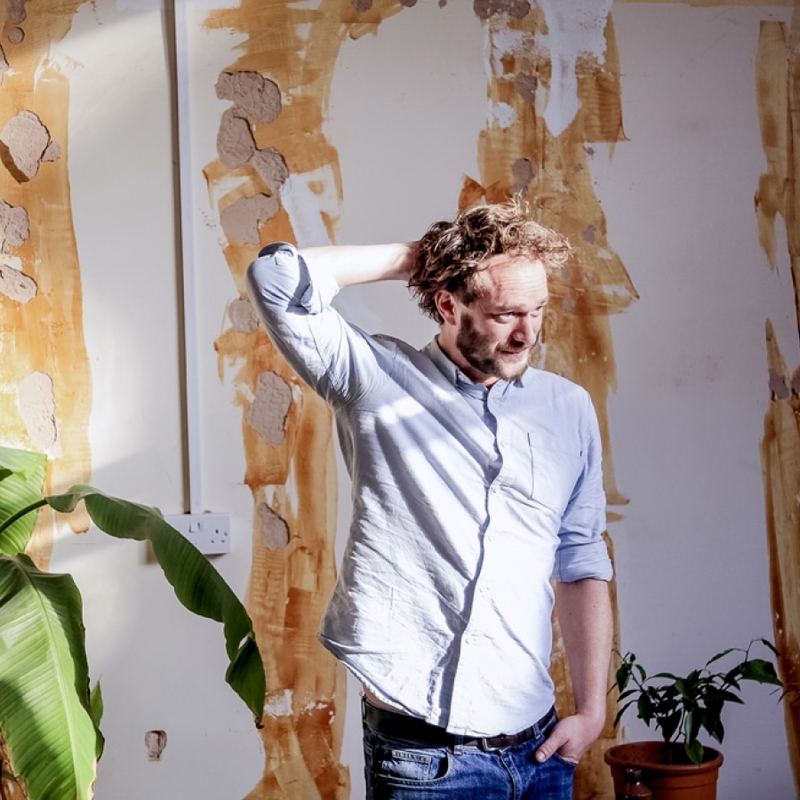 Nick is an innately conceptual artist with the ability to see his wildest ideas through to reality. His vision is proving boundless as he grows from painting and sculpture to complex set design. Within his latest business venture, Nick exhibits his varied work as an Artist and Designer under the name npb88. Npb88 is created upon the concept that ‘there are only 88 types of human beings’. Nick’s entirety of work can be linked to this infinite investigation, proving and challenging the theory through subverting the norm. The number resonates with many different cultures for luck, as well as being the speed that the DeLorean needed to hit in order to time travel in Back to the Future. 88 has mythical connotations that sit perfectly with the magic infused in Nick’s work. Stemming from a very early age, his mind for fine art is inescapable as shown in everything he puts his mind to. Now creating intricately immersive worlds for paying guests to enter for the day, night or week. Nick’s work allows a rare and beautiful escape. Often leaving you feeling like you have fallen head first into a dream. All the time acutely aware that the urban streets surround you, but too far from them to care. From sketch to set, Nick has an impeccable sense of visualisation that brings alive a scene that can take architects years to achieve. Offering this kind of escape is where the entertainment world is coming to, and Nick is at the forefront of the movement. He possesses the kind of big thinking that is transforming the party scene into an embodied experience. Subverting ordinary streets and fields into a rabbit hole of festivities. Heavily inspired by the surrounding scenery, the shapes, movement and detail within his work leave you wanting for nothing as the set becomes enchanted. With credible sources of training from degrees in Fine Art and Arts and Events Planning from the AUB. Nick is continuing to prove himself as a pioneer in conceptual design. There is an endless breadth to his growing portfolio that shows his unlimited vision. 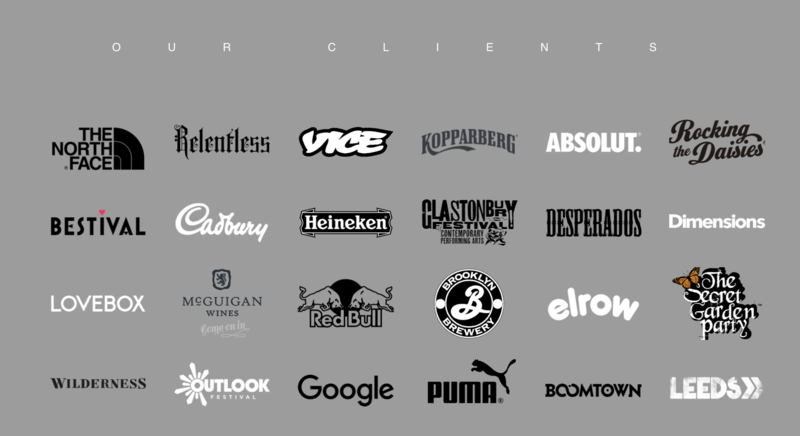 Working with reputable clients Wilderness, Lovebox, Glastonbury, Electric Picnic, Secret Garden Party, Bestival, Google, Relentless and Kopparberg. Nick is proving to be a powerhouse of creativity of which Secret Garden Party is a yearly reminder of. He has worked with the festival for over 13 years, now as Creative Producer leading a crew of 350 to enact his sets. Nick is offering an intrinsically perceptive and playful view of the world. His paintings and photography serve to show his thoughtful contemplation that later makes way for the combustion of energy thrown into his set design. His pursuit of creating a physical experience through art will continue to be something to behold as his ideas and dedication only progress. Throwing himself and all who’ll join him into new worlds through innovational design. Because the courses were great and the facilities in the Arts Institute (now AUCB) were fantastic. The town is a very lovely place to live, a real inspiration with all the beautiful surrounding areas. The students were great peers; many are my colleges and friends to this day. At the time it was called Arts and Event Production, after studying a degree in Fine Art at the AUCB I was working as a practising painter. I found that the launch events and private views for my work were really interesting. I started developing them as concepts in their own right and working on bigger events and festivals designing and building stages, bespoke parties and festival concepts. I really wanted to progress my career in this field so I decided to return to my studies. The course was just right with a good mix of practical, theory and abstract thought with like-minded fellows. Having the ability to explore the industry in a real time environment. The professional networks and surrounded by a wealth of talent and energy. There are a few I probably best not mention! However, seeing the joy in the face of our ‘head of course’ at the time Richard, when he was watching the reality of a giant ‘Pass the Pigs world cup come to life…! My third year project on the course. I continued to work on more and more festivals combining what I learnt with practical knowledge learnt from the ground up. This really helped me to create a credible reputation and skill set. I started to design more and more complex and fantastic spaces and concepts that were translated through a number of festivals. Always building networks, good humour in the face of adversity and good client relations have all led to continued recommendations and more and more varied design and build production. Going from a sketch on a napkin in a pub go through all its stages until its fully realised. Then seeing the audience having the experience you aimed for and more. The chances to still have the imagination of a child with the ability to really bring it to life. There’s no such thing as a typical day. In a way, yes, I have always wanted to be an artist from a young age. Now my canvas has so many more dimensions: creating fantasy experiences in spatial design, print, Props, sound, light, and performance. To Keep Designing things that inspire me to do what I love as well as I can.